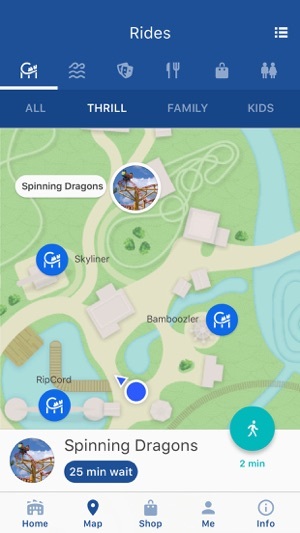 The official Worlds of Fun app! 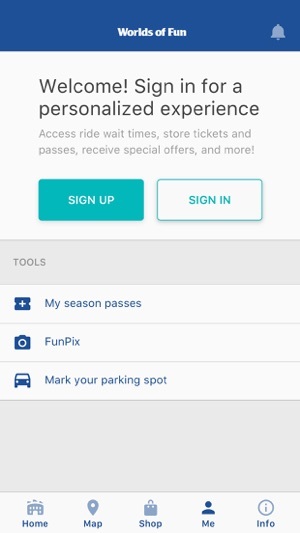 Get more out of every day at the park with ride wait times for your favorite rides, an interactive guide map that will help you find the fastest route to any place in the park, easy access to your FunPix photos, a complete listing of all the entertaining shows and events, including show times, so you won’t miss a minute of the action. 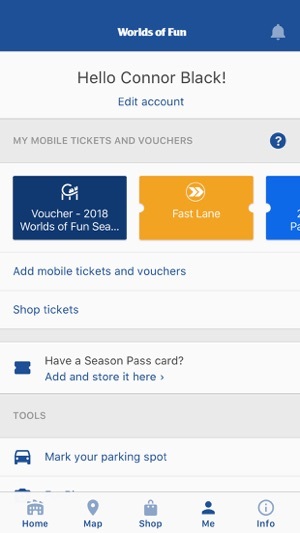 Buy tickets or store your Season Pass on your phone and receive special offers and discounts only available to app users. Everything you need to make your day at Worlds of Fun the best day ever! 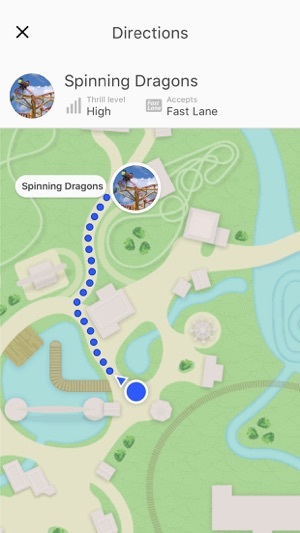 This app is junk just like the park is junk. Spent the last two summers visiting kings island and cedar point respectively. It's a shame to see the park i grew up in look the same as when i grew up. I'm forty which is slightly older then the majority of the rides. Haven't had a new coaster in 5 years and that one was wood (jerking off motion) don't have a single launch coaster when cedar point has already gotten rid of atleast one. It's a second rate park, one step above a carnival. In a much nicer city then that dump Sandusky, OH it's pitiful. 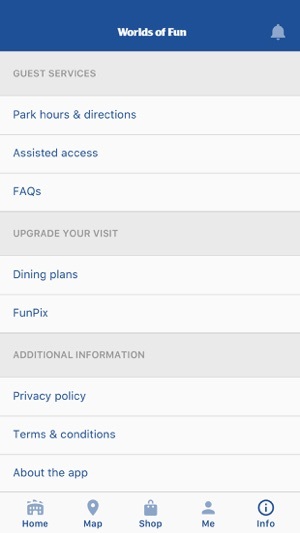 Decent app but wait times is a joke. So we got in the park and looked at wait times. It said 15 minutes for timber wolf. Went to line and have been waiting 30 minutes and am not close at all. These apps are good for directions but terrible for wait times. Someone needs to figure this crap out. So frustrating having a family at park and wait 1 hour for each ride. Especially when the app says 15 minutes. 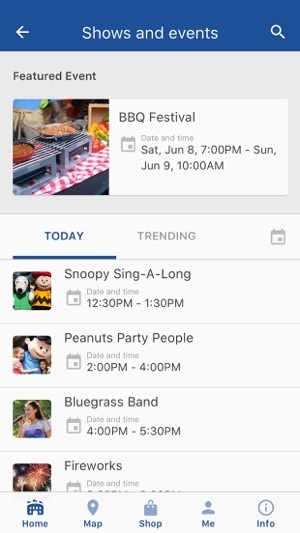 Looks like a cool app with lots of useful features! 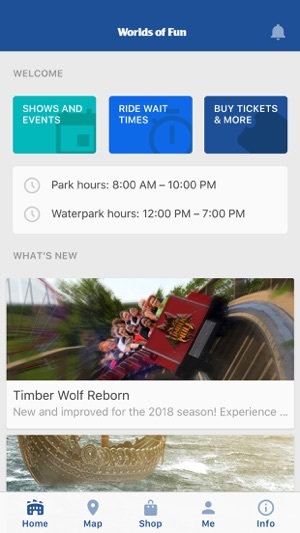 I'd like to add one though: each attraction should give live time feed of whether it's up and running or the ride is down for maintenance or just out for the night!